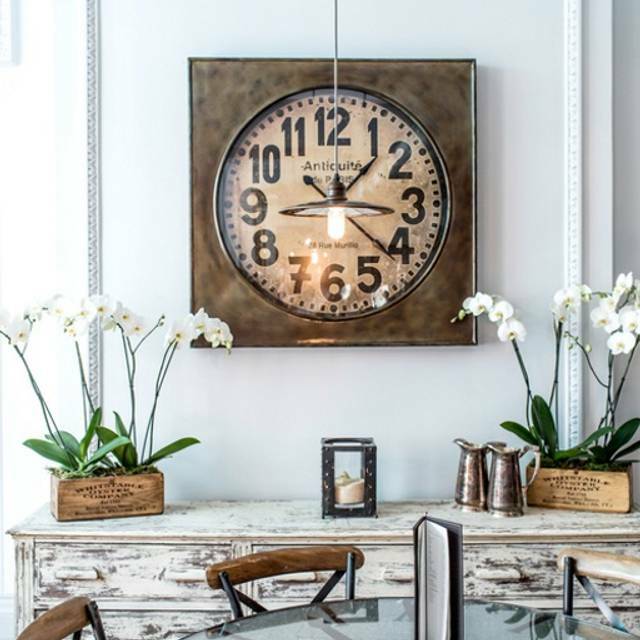 You must make bookings at least 5 minutes in advance of the time at Scoff & Banter - Kensington. 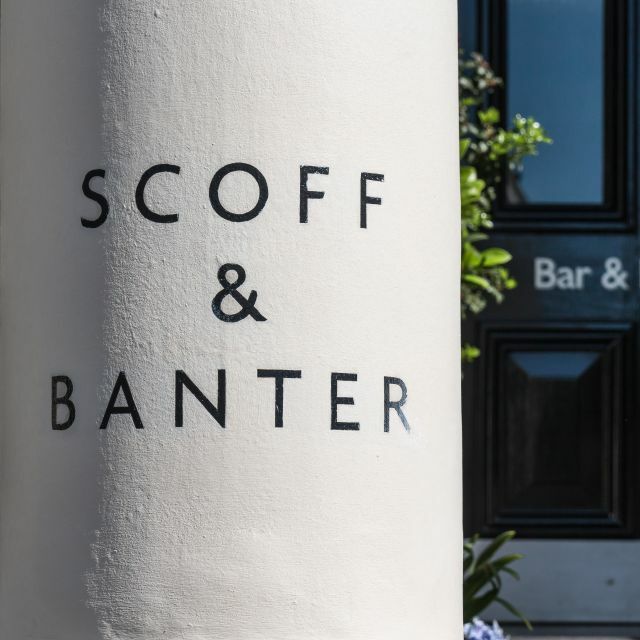 Scoff & Banter Kensington, is stunningly decorated with reclaimed furniture and fittings, intricately detailed high ceilings in keeping with the listed building, and elegant yet welcoming bay windows. 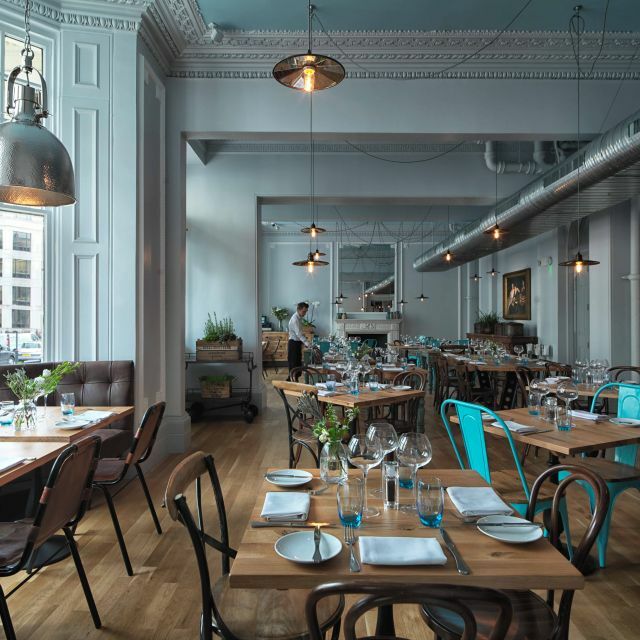 At one with its neighbourhood, the restaurant design is created to encourage interaction and a sense of stylish comfort, with the addition of a private dining room, perfect for intimate dinners, events and family gatherings. The food and service were good, however, the live Jazz music was too loud, the artist seemed to be competing with the noise levels of the conversation. At the same time, we were having to raise our voices to be heard over the music. Whilst it was a great idea - it was poorly executed. Great chips and fish, and the burger was really good too (though would have liked it to be bigger patty). Really loved our visit to Scoff and Banter. Very close to the natural History Museum we grabbed an early dinner - good food choice and not over priced. 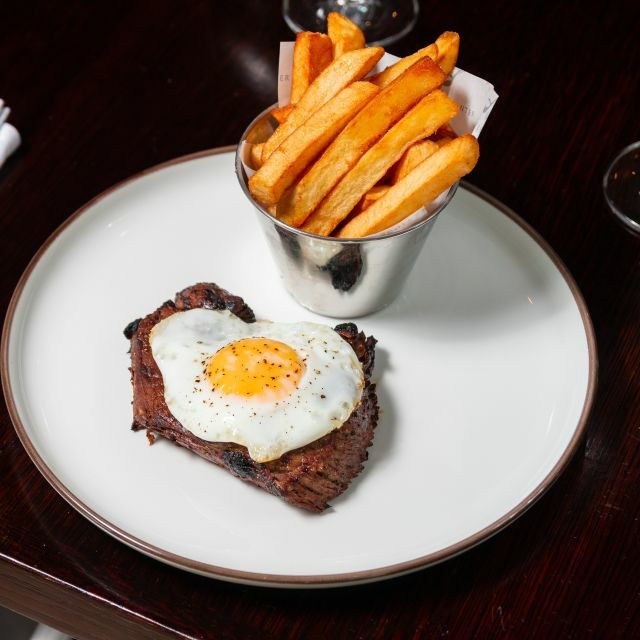 Great service and top quality food. Nice atmosphere and open and airy. Really enjoyed it. Great find. Would definitely choose again. First time at Scoff and Banter. Loved the atmosphere and decor. Food portions were good. I had the pre-theatre menu while my boyfriend had the al la carte. Portions for both were good sized. Shame we had to rush as I would have liked to finish my dessert at my leisure. Staff were lovely and very attentive - particularly Antonio who was one of the waiting staff. We'll definitely be back! This year ‘s great discover in our annual trip to London! Cosi and elegant. Very good, tasty and eye-eating food. Compatible wine list. Prices affordable. Do recommend ! Lovely quiet venue, attentive staff and surprisingly reasonably priced. We visited before an event at the Royal Albert Hall and thoroughly enjoyed. We really liked the decor. The venue is open with some lovely features. The food was modern, tasty and what we expected from the menu. The staff were welcoming and attentive. Food excellent, service lacking. Mini Yorkshire puddings amazing, as was the other food. Felt quite ignored by waiting staff even though only two or three other tables. Antonio was an amazing server. Fantastic ambiance. Wine and drinks were really good. Food was just ok - salmon appetizer was extra-salty and the steak was a bit tough/fatty but not awful. The food was delicious as usual and the service was very good. Everyone was very satisfied with their choices of food - fish and chips, portobello mushroom wellington and burger. Nothing out of the ordinary. Pleasant atmosphere with very good wait staff. Very small menu. Steak nicely cooked with good red wine sauce on the side but meat but very tender for supposedly 28 day dry aged. Had a fine time but not enough to return. They had run out of the Sunday roast I wanted and only had the chicken remaining. The chicken was adequate, but it was just roast chicken. The Yorkshire Pudding was clearly overcooked, or more likely had been standing around way too long. All the rest was at best adequate. Nothing special. The service was very poor. The waiter didn't know what the drink was that I ordered, even though it was on their menu. I had to point to the line to get him to understand. Once my meal was done they left me to sit and wait. I had to flag another waiter down to get my check. We were a group of 12. We attended the restaurant as a pre-night dinner for our annual conference. We attended last year as well, last year it was extremely noisy, this year seemed more comfortable. although it is a nice restaurant, it was way too hot, i would say understaffed as the service was quite slow. the menu is very limited. we asked for tap water which came in a jug with mint and other leaves and looked beautiful, but was warm, and the jugs didn't hold much so we had to constantly ask for them to be refilled. personally my starters and dessert were disappointing but i know others were completely happy with theirs. I don't call tinned fruit, a blob of cream and a meringue plopped on top an Eton Mess, frankly it was a disgrace. overall though, i think the group had a positive experience. Lovely evening. We had prompt attentive service. The food was lovely - we had fish pie and fish and chips. Other reviews mentioned being rushed. We did not experience this at all. Would recommend to eat here. Great airy space with typical Scandinavian design. Fab service and delicious food. Will come again! Very nice Sunday roast. Highly recommended. The roast beef is great. Fantastic meal. Given a lovely table quite early in the evening. Staff were attentive but not intrusive. Food was delicious. A group of 8 went for dinner before going to the Royal Albert. My food - fish pie was only tepid so it was sent back. My friends had finished their food by the time my new fish pie arrived. I took good from the centre and the prawn was freezing, as if it had just been defrosted. The manager came, and offered me a free drink and have everyone a free dessert. So although my food was poor (all other food choices were fine) the way it was dealt with was very good. Nice ambience... good fish and chips and Erin Mess...Brilliant! 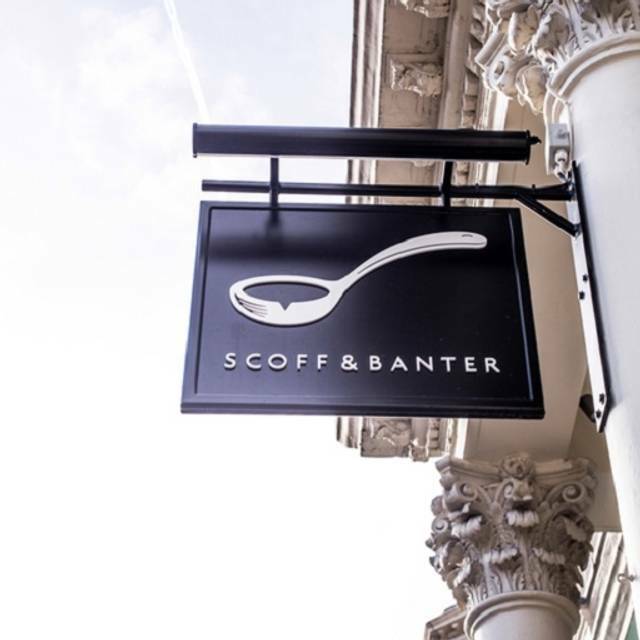 Scoff and Banter has a great stylish decor. On an early Sunday evening there weren't many eating which suited us. Sunday lunch was delicious along with a lovely dessert. Service was fast and friendly. Nicely tucked away in a quiet location and a short walk from Gloucester Road tube station. 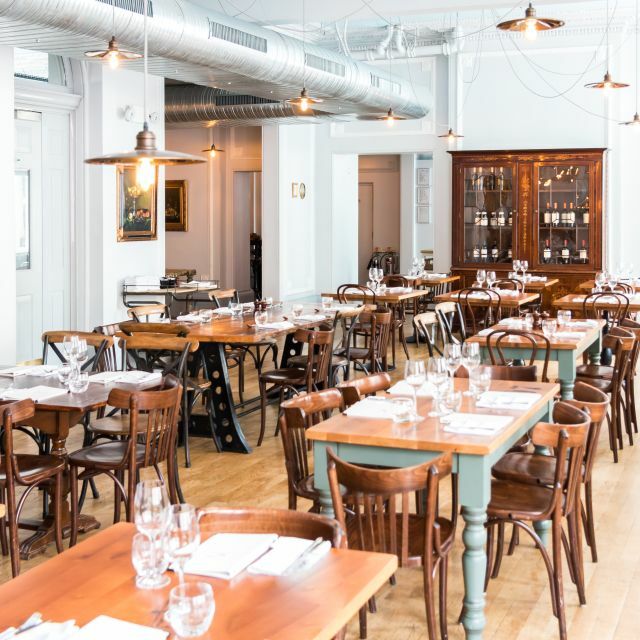 Elegant bar and busy restaurant with simple well cooked and fairly priced food and drink. Service was outstanding and onerall great value for money. Great food and decor. Would go back and recommend to friends. Pleasant Sunday lunch in calm and airy dining room, with very attentive staff. 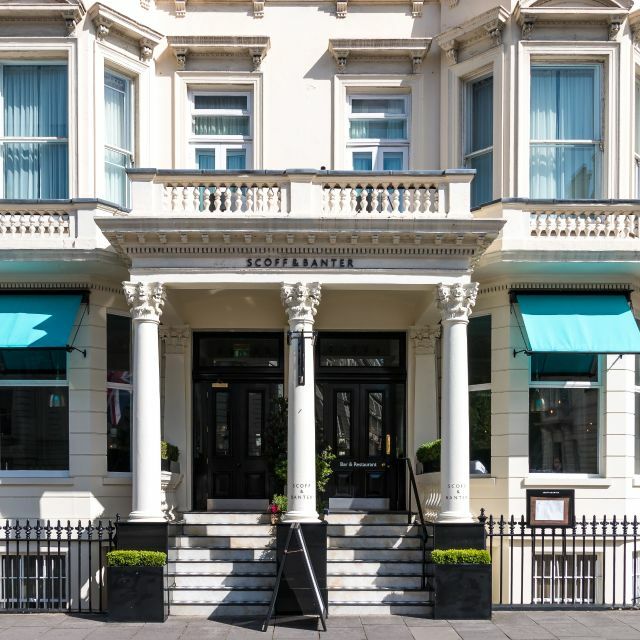 Decent value for money, and a good position close to the Tube and the museums / Royal Albert Hall. Fish and chips particularly good, very tasty and well priced. Went there for a Sunday roast that left us unimpressed. The staff is friendly and the place is nice, so I would give it another try. Food was amazing, everything was had was incredible. We had a lovely ladies catch up over afternoon tea then evening cocktails. Would recommend. Staff were attentive but not intrusive. More tea, milk, water etc were no problem. They let us stay nattering on the table for hours until the next booking then we moved through to the bar. I have been to a scoff and banter before, it was lovely. This time around, not so lovely. We were running about 5 mins late, but when I tried calling I kept getting cut off so couldn't tell them we would have been late. When at the matre de stand - everyone who worked there ignored me for around 5-10 mins. Finally someone came and acknowledged me. We were shown to the table, I requested a high chair for my 1 year old nephew, at first they said they didn't have any left - they were all being used. They didn't say once someone has finished using a highchair we will bring it over straight away, they just didn't seem to care. Our waiter was lovely and attentive. Starters were all great came out pretty quickly but then we had to wait a long time for our main course. 6 out of 10 of us ordered the roast beef, 2 of the beef were cooked fine however the other beef was completely rare (I like it rare but even the fat on it was pure white). Also there was more fat on the beef then beef itself. My sisters sent it back, not much of an apology and they were then given steak instead of beef with there roast. Most of the potatoes were cold but by the time we all had our food, we felt we couldn't wait any longer. I left majority of my meal and when another waiter took our main meals away they didn't even ask if everything was ok. It was around £50pp for a starter, main and a glass or two of wine. We don't mind paying for that but as the roast beef cost me £21 and I didn't even touch it due to the cold potatoes and rare/fatty beef I don't think it is very acceptable. Very good service, tasty food and a lovely treat for my mums 60th. A classy friendly place probably quite noisy if at full capacity. We had the limited set lunch menu where I found the starters more exciting than the main. 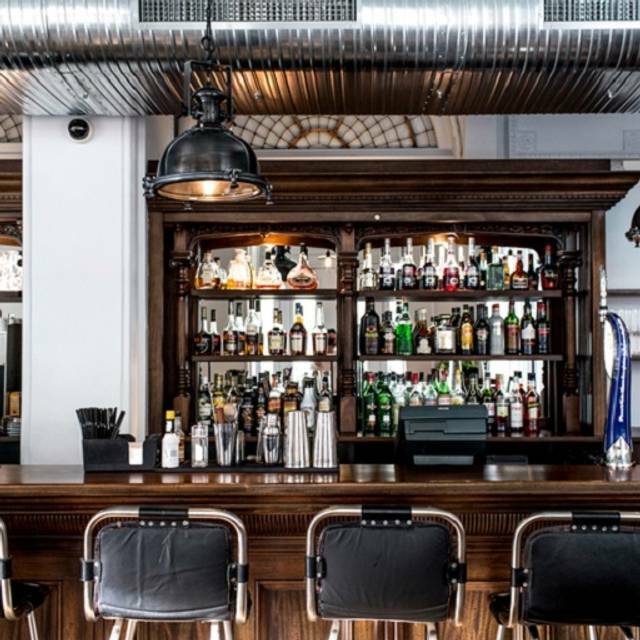 The charged drinks were London hotel prices and so hiked the overall price. I'm trying to think of something positive to say here, but am struggling. The server was friendly, if not terribly able. Friend's bread for her soup arrived when she had finished the soup. Portions quite small for prices - £16 for a small'ish piece of salmon and modest portion of kale. That was all that was on the plate. We ended up paying £82 for 2 glasses of wine, a starter, a side (horrible, dried out overcooked chips), 2 mains and 2 deserts, none of which was very good. The place was mostly empty and now I know why! Decent Sunday roasts (chicken or beef) with a side of cauliflower cheese. Non alcoholic cocktails are very reasonable too. Staff are attentive and we were never left waiting. 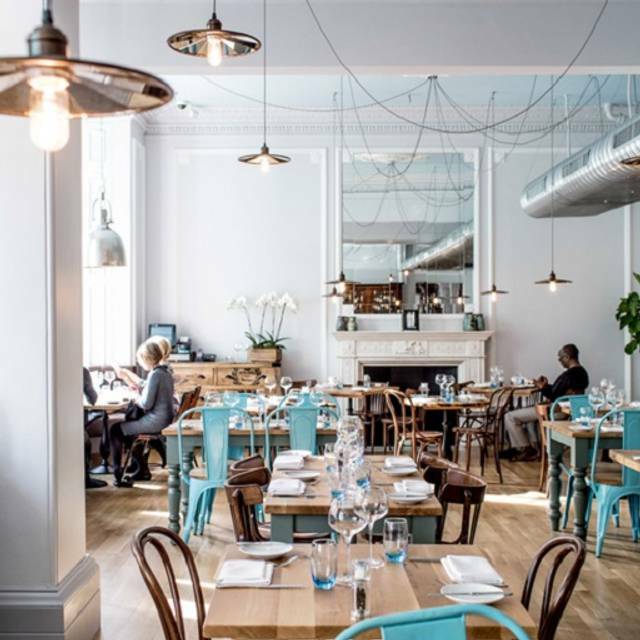 Good food, decent value for this part of London. Service was very good at the start when less busy but was a bit slow as it got busier. Portion sizes were also a bit inconsistent; whilst most of the main courses were excellent, the chicken was tiny and pretty poor value for what it was. Also, although it is becoming common place in London, automatically adding 12.5%, as opposed to 10% or even making it entirely discretionary(which is what it should be), is a tad annoying though they do say his on the menu. All that said, this still represents good value for well-prepared food in what's an expensive area of the world. This is the second time we have been and both occasions we have just moved the food, atmosphere and service. Food was fabulous, although service was slow. We had to ask for our food to be hurried up, and then had no time for dessert as we had to rush to get our train back to Cardiff. Having said that we would definitely return and hope for a little faster service next time.